Gwendolyn Womack is the author of The Memory Painter which released in April 2015. She was also at the Historical Novel Society conference in Denver this year where I learned of her intriguing novel. 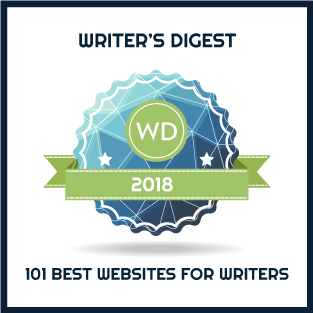 Today she’s sharing her thoughts on what makes historical fiction unique. What are the ‘magic ingredients’ that make historical fiction unforgettable/irresistible? And in your opinion, what do the best historical fiction writers do to ‘get it right’? Historical fiction magical ingredients are all of those wonderful details and bits of truth that create the experience of the time period – ingredients sprinkled like spices throughout to enhance the story. In my opinion the best historical fiction writers sweep you away with their characters and make you feel like you are experiencing the story right along with them. Transporting readers to a different time period but making it feel effortless is getting it right. Are historical novels inherently different from contemporary novels, and if so, in what ways? I don’t think they’re inherently different. The methods and research might differ for creating a historical setting versus a contemporary one, but trying to bring characters to life and capture the conflict within those lives takes the same effort. Both types of novels have to create believable worlds and characters that we will become invested in. What aspects about the past do you specifically try to highlight in your novel(s)? I try to highlight all the things that I find fascinating in my research. It’s really an intuitive process. Things jump out at me that I feel will either give shape to the time period or more insight into a character. I’m constantly reading and jotting down interesting details and then I work to embed them into the action. The Memory Painter spans a lot of history and has chapters in ancient China, Japan, Rome, and Egypt among others and I had multiple notebooks for each time period. It was challenging but a lot of fun to weave them all into a single story. In writing historical fiction, what research and techniques do you use to ensure that conflict, plot, setting, dialogue, and characters are true to the time period? I research a lot before I start writing and saturate myself as much as possible with books, documentaries, articles and actual writings from the time period, which is always the most helpful. And as far as staying true to the time period, I do try to make sure any historical fact or event I’m relying on is as accurate as possible. But the important thing is also to let the ‘fiction’ in ‘historical fiction’ have its way. So I do enjoy a lot of freedom in crafting the plot and conflicts and let my imagination go. Do you see any particular trends in HF? I personally don’t but I also haven’t tried to find one. There are just so many different kinds of historical novels out there. I’m a member of HNS and went to Denver this summer for their conference, which was fantastic, and in the bookstore and at the Author Signing I saw a wonderful breadth of stories. Please tell us a little about your latest novel. 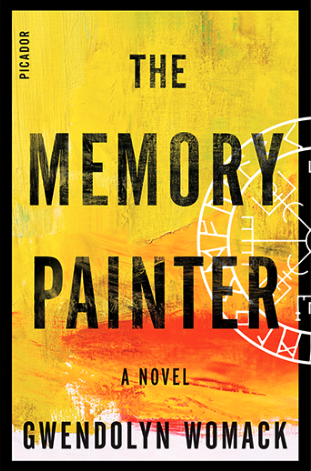 My debut novel The Memory Painter came out this year. The novel is a love story and a thriller that revolves around a famous painter who has the ability to paint memories of his past lives. There is a Chapter 1 excerpt at www.GwendolynWomack. Before signing off, I want to share the news that my publisher is running an e-book promotion for The Memory Painter for only this week until 10/4. So if you like to check out new books by e-reader then please take a look. Thanks! And thanks to you, Gwendolyn for sharing your views. Good luck with The Memory Painter. Two lovers who have traveled across time. A team of scientists at the cutting edge of memory research. A miracle drug that unlocks an ancient mystery. Enjoyed the interview, Mary. Gwendolyn, as fate would have it, sat in front of me on the air shuttle to the Denver HNS. It was a bus of authors getting to know one another; shy and last she turned a profile and said her book was cross-genre, the story of a genetic neuroscientist and she has cured Alzheimers … She had me right there. I bought Memory Painter at the conference. Being a former painter, I resonated with her metaphoric leaps of artists, experiencing immense catharsis that become the the stuff of future memories. Gwen’s commanding sweep of time and the cultures of the Earth is quite unique. I can’t wait for her next. Thank you Mark, I’m happy to hear you enjoyed the book. Nice to have met you on the shuttle too. Your lecture at the conference on ancient maps was quite informative. Mary, Denver was my first HNS conference too and I agree it was fantastic.